The Waterford branch of the Irish Wildlife Trust will host a walk along a section of the Copper Coast at Bunmahon on February 12th. 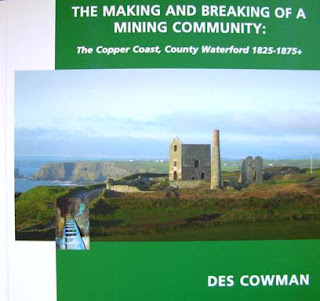 The leader will be Des Cowman who talk about local geology and wildlife. Meet at the main carpark at Bunmahon at 2 p.m. The walk will last 2 hours and will head to Tra na mBo.